When the bodies of three Israeli teenagers, kidnapped in the West Bank, were found late last month, Israeli Prime Minister Benjamin Netanyahu did not mince words. 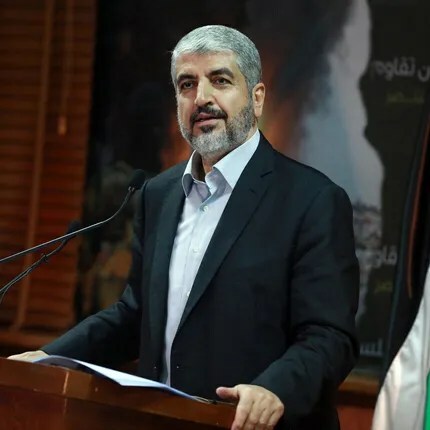 “Hamas is responsible, and Hamas will pay,” he said, initiating a campaign that eventually escalated into the present conflict in the region. But now, officials admit the kidnappings were not Hamas’s handiwork after all. [Gershon Baskin] pointed out that Hamas has earlier this month signed an agreement to form a unity government with Palestinian Authority Chairman Mahmoud Abbas, bridging, for the first time in seven years, the Palestinian leadership in the West Bank and Gaza. “They will lose their reconciliation agreement with Abbas if they do take responsibility for [the kidnappings],” Baskin added. All the illegal and immoral actions related to Operation Brother’s Keeper were justified under the premise of finding and saving the missing teens whom the Israeli government knew to be dead — cynically exploiting the tragedy to whip up public outcry in order to provoke and then confront Hamas. This pattern of deception continues under the ongoing military offensive in Gaza. For example, last week in collaboration with Egyptian President Abdel Fattah El Sisi and Abbas, in its efforts to alienate Hamas, Israel announced a bad-faith cease-fire proposal, which Hamas was not consulted on and never agreed to but whose violation supposedly justified Israel’s expansion and intensification of the military campaign into Gaza. Despite continued negotiations, the violence shows no signs of letting up, and after Thursday night’s massive protests in the West Bank, there is still no ceasefire agreement. On Friday, it became clear that U.S. Secretary of State John Kerry’s attempts to broker a seven-day truce were rejected by Israeli officials. Instead, Israel will apparently widen its ground operation in the Gaza Strip, despite international outcry about the civilian death toll. According to unnamed officials, the proposed truce was too generous to Hamas’s demands. Hamas, meanwhile, still hasn’t weighed in on the agreement, whose details are being kept secret, but continued to launch rockets into Israel. International peace talks are set to resume in France this weekend, and we’re keeping our fingers crossed. AMU/FIMA convoy of 16 trucks carrying USD 500K worth of medicines-surgical supplies entered Gaza at 0125 hours 25 July. Hamas should stop its confrontational style and start working with egyptian government about building a port on the egyptian side plus possibly and airport and an open border and maybe stop threatening the destruction of israel. Unfortunately, a group that calls for the destruction of israel garner more financial support than groups that works for peace. And the poor citizens of gaza will suffer the brunt of these despicable leaders who probably live in luxury with homes in Paris or london while the people whom they represent live in squalid conditions. How much of the financial support that Hamas is getting is going into the pocket of Hamas ? This might very well be the reason why Hamas do not want peace in the region, or is that why Hamas is never in favour of any proposed truce ?